I am all about celebrating Non Scale Victories! Most of the time, I focus more on how I feel or how my clothing are feeling, but DO NOT EVER FORGET how much strength you gain and confidence you gain in yourself through consistent work. Compare these 2 images. I really do wish I had video from the first time I attempted a mule kick at workout day 6, but I don't because I was too ashamed. I got maybe 2 feet off the ground. 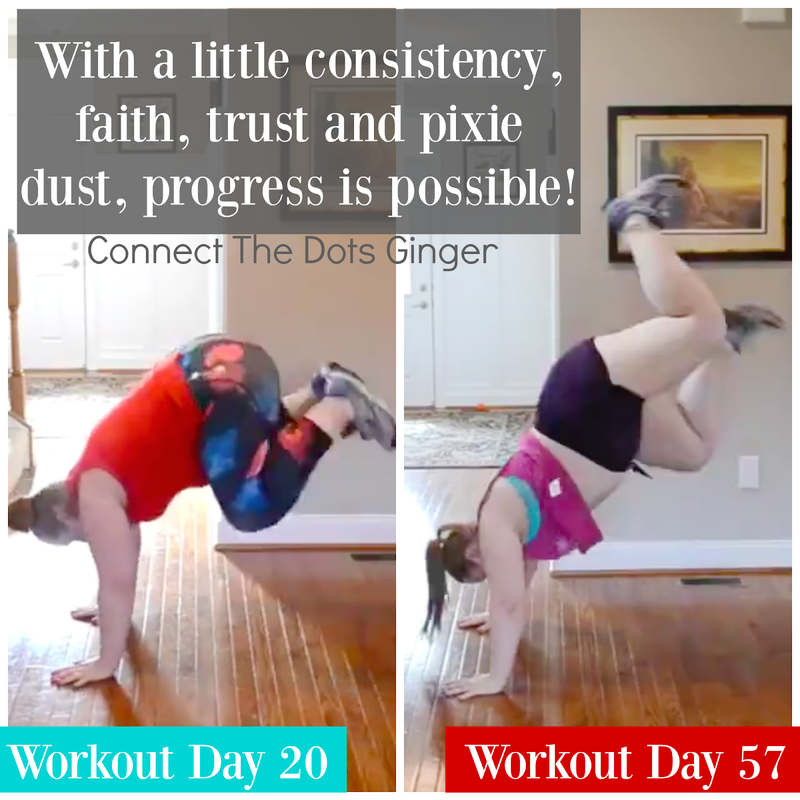 Now at day 57, because of my consistency and putting my faith, trust with a little pixie, I'm getting closer and closer to doing a full mule kick! And that my friends is EXCITING and something that should be celebrated! CONSISTENCY! Want to make progress in your journey? Be consistent with eating the right foods. With exercising daily. With following through with your program. When you get off track, that is what is delaying you from reaching your goals. Find a program that you love and keeps you excited. Find support that helps you realize you are worth this hard work and effort! 80 Day Obsession does this for me and I am getting amazing results and Non Scale Victories daily! And with my accountability and support groups I have people to help motivate me, support me and remind me that " You can do this!"